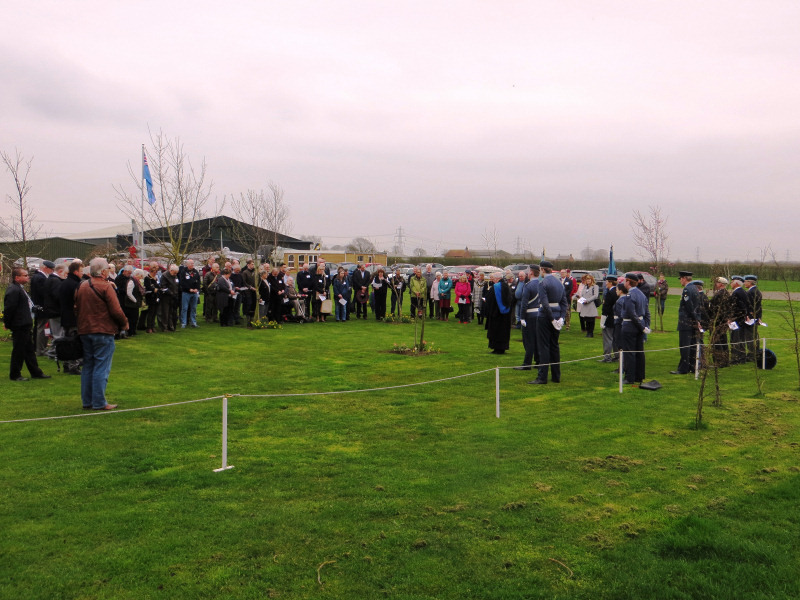 On Sunday 8th April 2018 around one hundred people gathered at the Newark Air Museum, including three former Bomber Command aircrew members for the dedication of a commemorative tree and memorial plaque in honour of all those personnel that served at nearby RAF Balderton. RAF Balderton was a little known Nottinghamshire airfield that was associated with many significant activities during World War II. This included a diverse collection of Canadian, British Squadrons; and American units that were based there. It also included the specialist Rolls-Royce trials unit that was involved in development testing of early British jet engine technologies. The reunion aspect of the day, saw ex 227 Squadron members Flight Engineer, Bill Bailey and Rear Gunner, Ken Fawcett; join ex-50 Squadron Rear Gunner, James Flowers and with surviving relatives / family members; mark significant aspect of Balderton's aviation history. 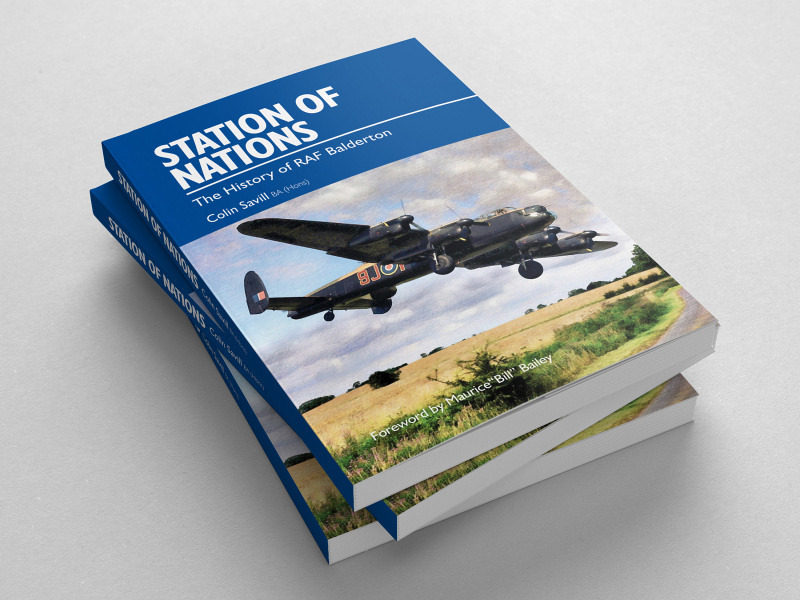 The veterans were also involved with a book signing for the new book Station of Nations - The History of RAF Balderton. 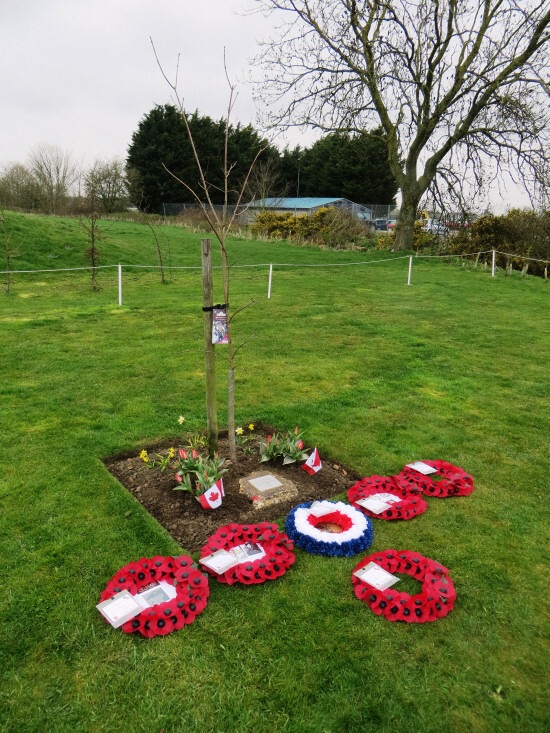 The dedication of the commemorative tree, a 'Crimson King' Maple, in honour of RAF Balderton's Canadian connections, took place in Newark Air Museum's Memorial Garden in the presence of Councillor Linda Tift, Chairman of Newark and Sherwood District Council. 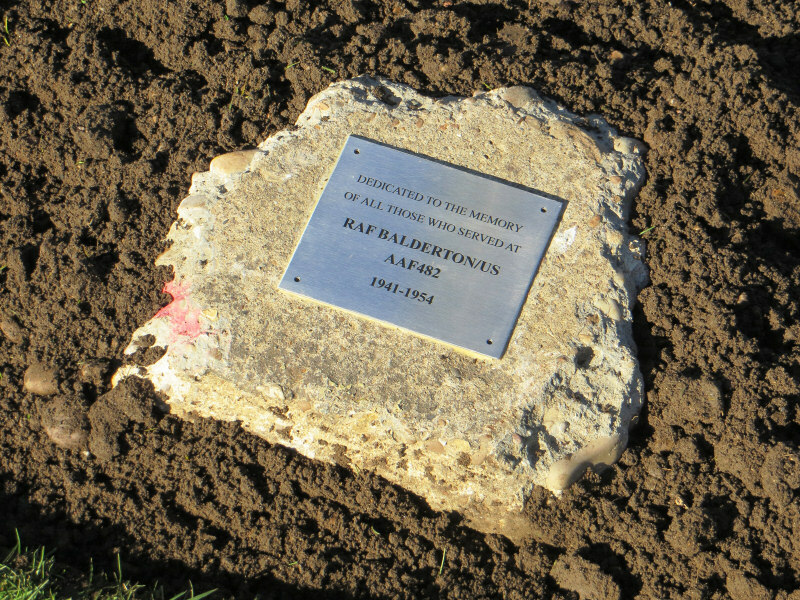 Located at the base of the tree is a piece of concrete from the former RAF Balderton's runway, that also displays a plaque dedicated to all those that served at Balderton. Photo Credits: Howard Heeley - Down To Earth Promotions.